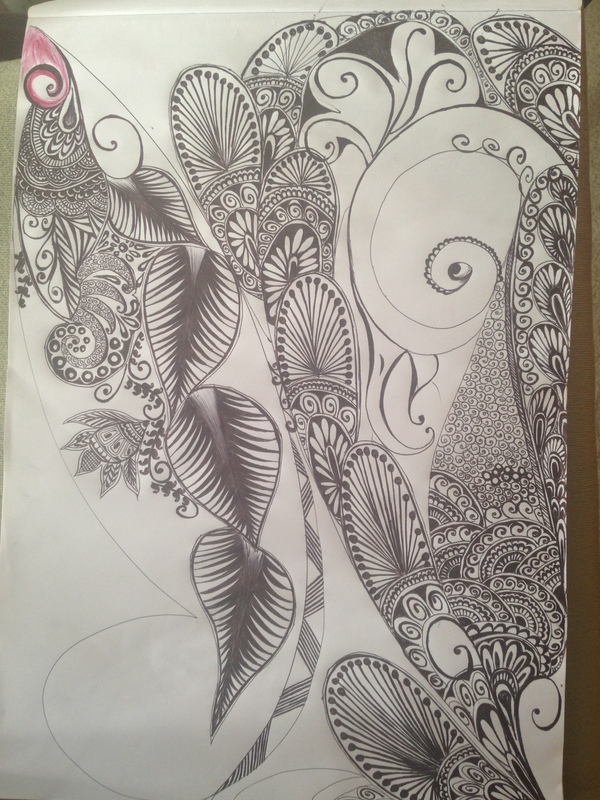 just started working on a piece of paper with a pen yesterday, just drawing free Henna design on it. Believe me its more easier to draw on hands such type of designs. You don’t have to worry that stroke will not look like a henna stroke.But hats off to those who work only on henna designs everyday, like in streets of Adalat Bazaar , Patiala, Punjab, India.It needs lots of patience to complete a Henna Design. After Analysing what i have done so far in this sketch, decided to draw a peacock like henna design to contrast against leaves. Henna design making can be the best to practice drawing curves lines free handed. for some one who have not done any practice from long time in art. It gives confidence. You can mould the lines and designs into beautiful patterns. Day 1: Thinking about childhood , when going to some one’s marriage event. And I was just busy decorating other girls hands with henna. what a wonderful days were those. Full of enjoyment and colours. The drawing is very beautiful!